Green Bee Cleaning’s 24-Step Healthy Touch Cleaning System™ was created to ensure a healthy cleaning process and provide you and your family with the cleanest and healthiest living environment possible. Our Cleaning system is based on a 24 step plan of action that combines our premium organic cleaning products and green equipment with a strict attention to detail. Our unique green cleaning system together with our environmentally friendly cleaning products, state of the art back pack vacuums with HEPA filtration, and methodical cleaning practices are guaranteed to make your home cleaner and healthier. After our trained and professional cleaning team has finished cleaning your home, you will breathe easier because we give you a thorough, healthy cleaning from top to bottom. Our team members clean virtually every available surface in every room on every visit, so you can be rest assured your home has been thoroughly cleaned. We clean places that may be overlooked by other service providers like deep under beds and on top of refrigerators. Our teams even use our eco friendly cleaning products to clean and sanitise phone receivers, light switches and other common touch points to help stop the spread of germs. If a clean, healthy and hygienic home is important to you, trust our highly trained, uniformed and insured teams using our green bee cleaning products and equipment to give you the greenest, healthiest most thorough home cleaning every visit. 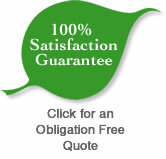 © Green Bee Cleaning Services | Site Map | " We are Licensed, Insured and Bonded"